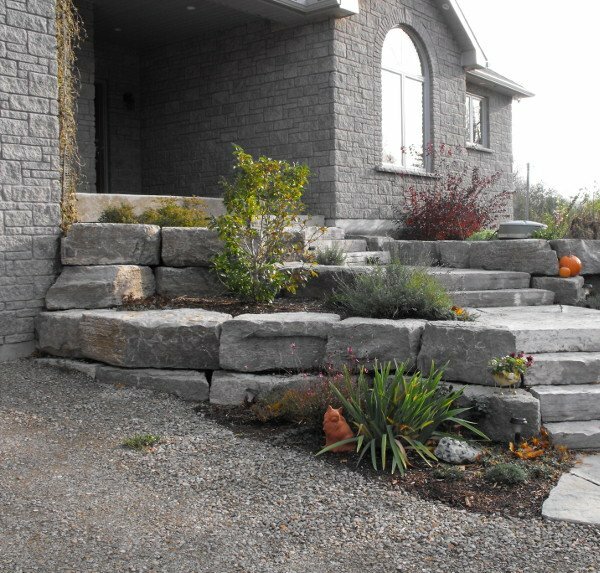 At Maxwell Stone, we offer custom stone solutions for a variety of projects in Ontario. Whether you need quality stone for a hardscaping project or you are interested in our Natural Thin Stone Solutions, you will find everything you need when you shop with us. 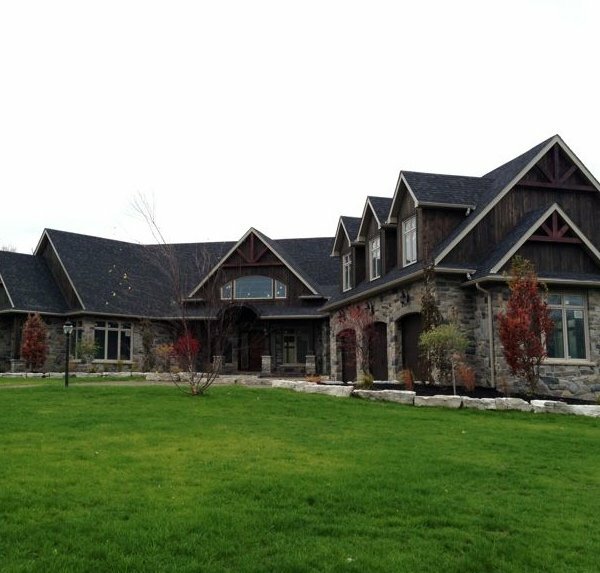 Maxwell Stone is home to a large selection of natural stone, housing veneer, pre-cast products, and landscape and masonry supplies that will make any project beautiful and unique. As a locally owned and operated company, we are committed to bringing you quality products and service at competitive prices in Ontario. We believe that this commitment is what sets us apart when you require stone solutions for your next project. In our retail yard, you will find a wide variety of natural stone products, including the ever-popular flagstone and armour stone, thin stone veneer, precast paving stones and retaining walls, and landscape and masonry supplies. 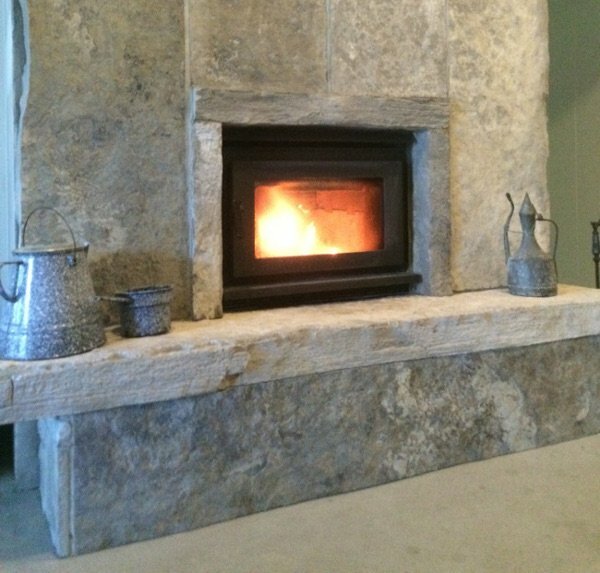 Additionally, we offer interior stone, granite or limestone for fireplaces, feature walls or flooring, and you may enjoy our excellent line of Natural Thin Stone Solutions that make creating and customizing the perfect indoor or outdoor stone feature easy and convenient. At Maxwell Stone, we carry a wide selection of natural stone, and every year, we continue to grow to assist you with all your landscape and masonry needs. No matter what your project may be in Grey County, Muskoka, Collingwood, Wasaga Beach, Orangeville, Owen Sound, Meaford, or the GTA, you will find everything you need when you choose Maxwell Stone for your landscaping and building products, materials and supplies. With convenient delivery options and design specialists ready to discuss your goals, your project will come together quickly and efficiently when you work with our team. We are located at 408310 Grey Road 4. We are 2 kms east of Maxwell ON and 9 kms west of County Road 124. Our main retail store and yard is open to the public as well as contractors. Visit us today and allow our knowledgeable and friendly staff to assist you in selecting the product that is right for your project. Our ability to customize our product to your project makes our Natural Thin Stone Solutions a great choice for your project in Ontario. Our GOTT Natural Stone has emerged over the years as a leader in the stone industry, with over 70 stone lines serving the landscape, masonry, and architectural market in Toronto. We offer custom stone solutions that give you the option to choose the stone and the style that will help you achieve your goals in Ontario. When planning your next project, whether it is improving your yard, creating a poolside oasis, building or even renovating your home in Ontario, consider the lasting beauty of natural stone and landscaping supplies from us at Maxwell Stone.